The weather is getting cooler and crisp - finally! I mean, it is fall now. I've been obsessing over sweatshirts and sweaters these days. 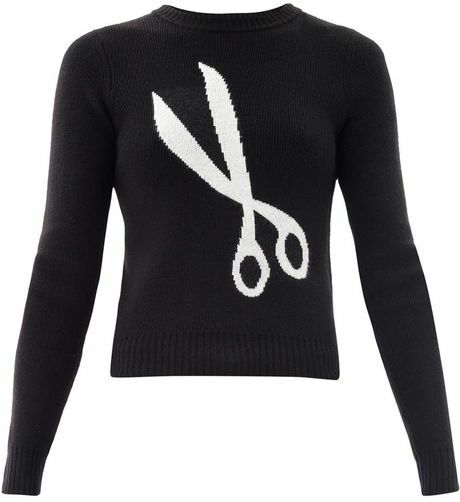 Saw this cutie Shears Sweater by J.W. Anderson on Matches Fashion. Love how you can dress it up and dress it down. This sweater is pure wool, intarsia knit so it's guaranteed to keep you warm and snuggly. J.W. Anderson, who is an Irish-born designer, is now the new Creative Director for Loewe, the Spanish leather brand which is a part of the LVMH luxury stable. And he recently got some fat funding from the LVMH group. His brand has only been around for five years and he's most known for his transgender dressing. Keep your eye on this bloke!